fra € 37,56 eks. mva. Very few animals instill fear like the badger. This vicious little creature is fast, intense, and utterly relentless. The Ortovox Badger Shovel bears a strong resemblance to its mammal namesake. 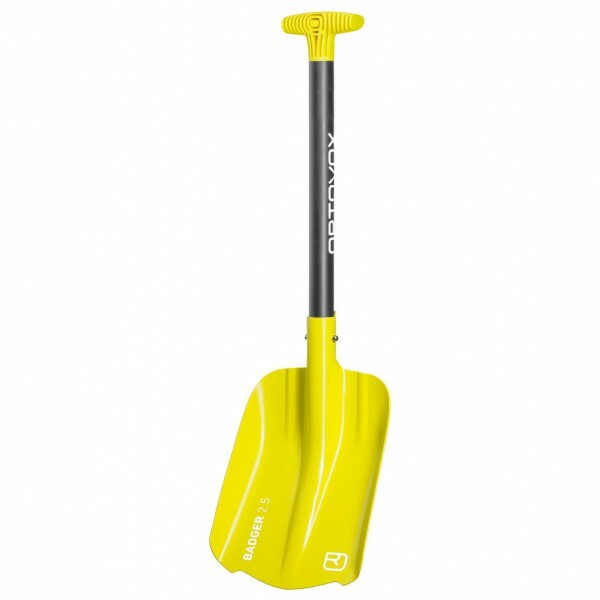 The all-aluminum construction keeps the shovel light and easy to wield. When speed matters, the hybrid grip and non-slip step grooves on the top of the blade let you shovel snow efficiently and quickly. Made from light though rigid 5052 aluminum, the blade features high side walls and a center ridge for added stability. A centering guide in the shaft socket speeds shovel assembly so you can dig in right away.